Office of the Chief Medical Officer of Health (CMOH), Berhampore, Murshidabad district , Government of West Bengal invites application in prescribed form from eligible and interested candidates (Advertisement Notification No- CM-MSD/NHM/2016/6130 Dated-16/08/2016) for recruitment to the post of “ARTC-Senior Medical Officer”, “ARTC Medical Officer”, “ARTC Lab Technician”, “B.T. Van Driver”, “Mobile ICTC Driver”, “OST Medical Officer”, and “OST Counselor” on purely temporary contract basis. 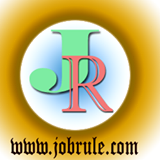 Latest Medical Job in Murshidabad.